Adrien Brody is a Hollywood actor and producer who gained worldwide recognition after playing Władysław Szpilman in the 2002 biographical drama film The Pianist. The movie didn’t only earn him an Academy Award for Best Actor but he became the youngest actor to ever win an award in that category. He also won the César Award for Best Actor for the same movie and became the only male American actor to win the award. The Pianist is definitely not Brody’s first movie; he has been acting since he was a child and has starred in a couple of other movies like The Thin Red Line, King Kong, The Village, The Darjeeling Limited, The Predators, Peaky Blinders, The Grand Budapest Hotel and many more. Adrien Brody was born in Woodhaven, Queens, New York on the 14th of April 1973 to Sylvia Plachy and Elliot Brody. His father is a retired history professor and painter while his mom is a photographer. Brody’s father is of Polish Jewish ancestry and his mother was born and raised as a Catholic. His maternal grandfather is a Hungarian aristocrat and his maternal grandmother Czech Jewish. Adrien wasn’t raised with a strong connection to either Judaism or Catholicism. He attended I.S. 227 Louis Armstrong Middle School and Fiorello H. LaGuardia High School of Music & Art and Performing Arts, New York. After high school, he went to Stony Brook University before getting a transfer to Queens College, where he was for just a semester. 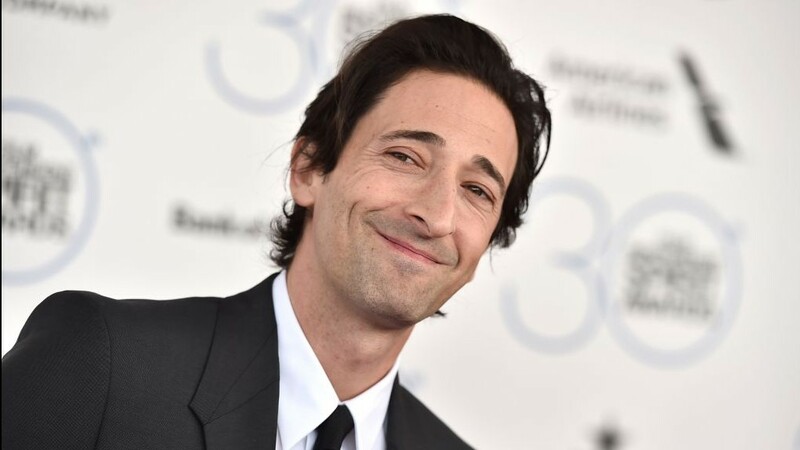 As a child, Adrien Brody would perform little magic tricks at children’s birthday parties with the stage name Amazing Adrien. Seeing his gifts and potentials at an early age, his parents enrolled him in acting classes and would send him off to summer camps to distance him from dangerous children with whom he was associating within the neighborhood. At the age of 13, he starred in an Off-Broadway play and in a PBS television movie. In 1996, he appeared in a crime movie Bullet, which also featured actor Mickey Rourke and rapper Tupac Shakur. In 1998, he played Chris Calloway in an independent film Restaurant which earned him an Independent Spirit Award nomination. In the same year, he appeared in The Thin Red Line and the following year, he played Ritchie in Spike Lee‘s crime thriller Summer of Sam. His widespread recognition came in 2002 after he played Władysław Szpilman in the biographical drama film The Pianist. To take up the role, Adrien Brody made amazing sacrifices like breaking up with his then girlfriend, giving up his car, apartment, lost 13 kg (29 lbs) and learning to play Chopin on the piano. His sacrifices did pay off at the end of the day. The movie wasn’t just a huge success, it earned him an Academy Award for Best Actor making the youngest actor till date to ever win an award in that category. His performance in the movie also earned him a César Award, making him the only male American actor to win the award. After The Pianist, the next movie fans would see Brody in was Dummy, where he played the role of Steven Schoichet. The movie was originally shot in 2000 but released in 2003 after he had gained widespread recognition following his role in The Pianist. He would later appear as Noah Percy in M. Night Shyamalan’s film The Village. In 2005, he appeared in King Kong remake as writer Jack Driscoll. The movie was a huge success as it made over $500 million worldwide and remains Brody’s most successful film in monetary terms till date. His other movies include The Jacket, The Darjeeling Limited, Hollywoodland, Splice, Predators, Midnight in Paris, The Grand Budapest Hotel, Dragon Blade, Peaky Blinders, and many other. He has also appeared in some commercials like the Schweppes and Diet Coke commercials. Brody also featured in the Stella Artois beer ad called “Crying Jean” which premiered after half-time of the Super Bowl XLV at the Cowboys Stadium, Arlington, Texas as part of Stella’s “She Is a Thing of Beauty” campaign? Adrien Brody also starred Tori Amos’ music video for “A Sorta Fairytale” and in 2012, he featured as a runway model for Prada Men. He is also a recipient of the Leopard Club Award. Who Is Adrien Brody’s Wife or Girlfriend? The handsome and charming actor is not married but has been in a relationship with model Lara Lieto since 2013. He dated Spanish actress Elsa Pataky from 2006 to 2009. He has also been linked with other women like Monet Mazur, Sky Nellor, Michelle Dupont and January Jones. The Pianist star stands at the height of 6 ft 1 in (185 cm) and weighs 83 kg. His other body measurements are chest: 40 in (102 cm), waist: 31 in (79 cm) and biceps: 15 in (38 cm).